I love creative role-playing design competitions, like the One Page Dungeon Contest. They’re a great way to push the creative envelope and get work out there for the world to see. I’ve just finished work on my gnome-tastic RPG of subterranean mayhem for the 1KM1KT 24 Hour RPG Competition. My submission this year is called Claustrophobia! It’s a nice little RPG using pools of six sided dice to enact gnome mayhem as the players journey to the centre of the Earth on board the HMS Keeton, a scratch built nuclear submarine (subterrene?) with an obnoxious Artificial Intelligence (AI) that will probably be more of a hindrance than a help. 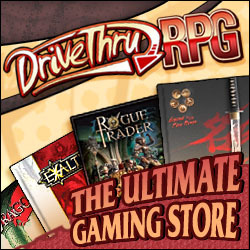 I’m pretty confident about the game, so confident in fact that I’d like to offer a refined version off Drive Thru RPG sometime later this year. So I’m calling for play testers. Play the game and tell me what you think right here in the comments and I’ll add your name to the finished version under the play tester credits. I’ll also send a free copy of the PDF to the email address you leave along with your comment. Play testing will run until the end of July and so you’ll need to get your comments in before August. You can also send comments via the site’s contact page, just be sure to leave an email address. Here are some notes for Claustrophobia! First is the page number, then the text in question, then the suggested corrected text, question or comment. +1 on one dice roll. +1 on one die roll. automatic pistol and 6-12 rounds of ammunition. Note:6 to 12 is hard to roll for a random amount. How about 7 to 12 (1d6+6) or just 2d6? to freely give of their carefully hoarded supplies. to freely give up their carefully hoarded supplies. One additional suggestion. You could add a ‘naming’ rule where your gnome name can give you a bonus. Like an object, you could use your name to gain a +1 on one die (but you could not sacrifice it). With a name like “Brave Norbin (who runs away)” you could get the bonus to try and run from a fight. With a name like “Pertwin the Strong (at least until the next spring shower)” you could make a physical attack from a distance by having another gnome stand behind him with a fan. And we don’t even want to think about “Bartwin of the Flammable Flatulence”! Wow, this is great, thanks. I love the names idea, especially because it encouraged players and Doom Masters to come up with similar bonuses for different aspects of the game, for example, something like character goals or character flaws, as they wish. Still, this is something that should be in the final game, because it’s awesome. Regarding monsters, I’ll get back to you in a moment. I think that maybe the best way to assign damage to NPC’s and Monsters is to do it at random between those stats that have values above 0. So, if I hit a cinder worm for 1 damage, there is a 50% chance it will reduce his Physical attribute to 0 or a 50% chance it will reduce his Mental attribute to 0. A simple roll of the D6. How about a rule that lets you burn a die on purpose for making it an automatic success? Thanks for the idea. I’ve been thinking about it and I’m not sure I see the point. Already you can sacrifice equipment to get successes and if you risk more dice you have a better chance of success. I guess I’d have to see how such a rule affects play. Hey Mitch. I thought about it some more and it would be a good idea to add in the rule. I thought I did have something similar but I was wrong. Sorry. I’m also wondering if anyone had a chance to use the combat rules and if it worked for you? I’m working on the Beta for the rules this month and almost ready to send out a copy. I’m wondering if I should post it on Drive Thru RPG?